Today, I made a stage. 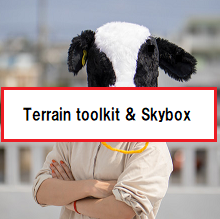 I use Terrain toolkit. It is very real. And, I made an caution UI when enemies come near me.